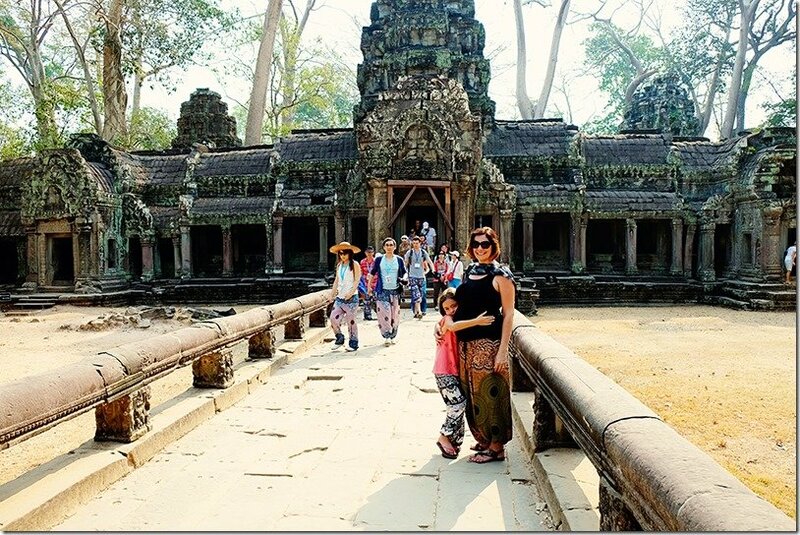 Ta Prohm Temple, the Tomb Raider Temple, Cambodia is by far my favourite amongst the Angkor Wat temples! 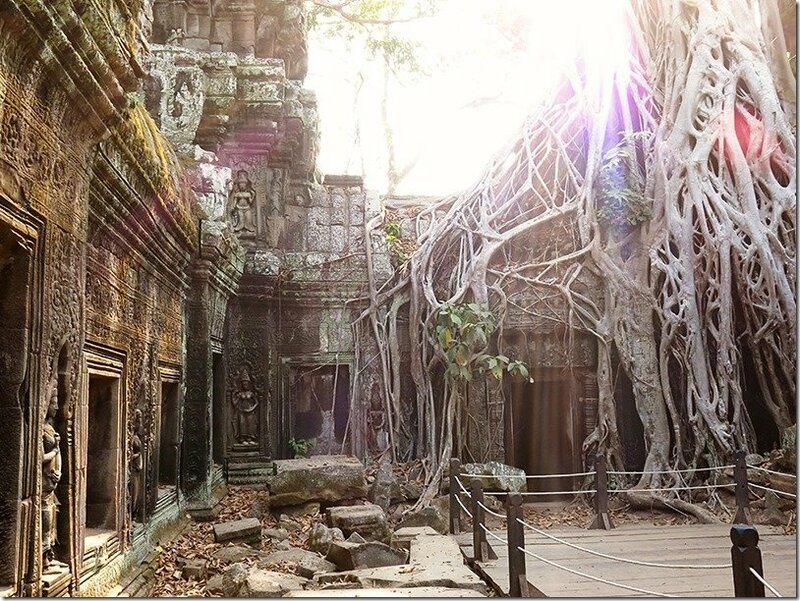 There is something spiritual and peaceful about this temple; a true dance of interaction between the man-made and the living jungle that surrounds it. 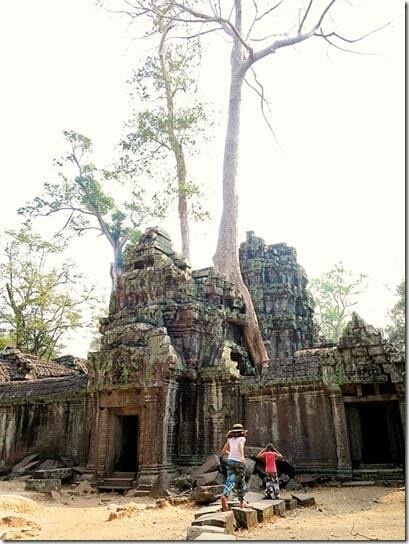 Not to mention that most of us has seen this temple in movies such as Tomb Raider and Indiana Jones! 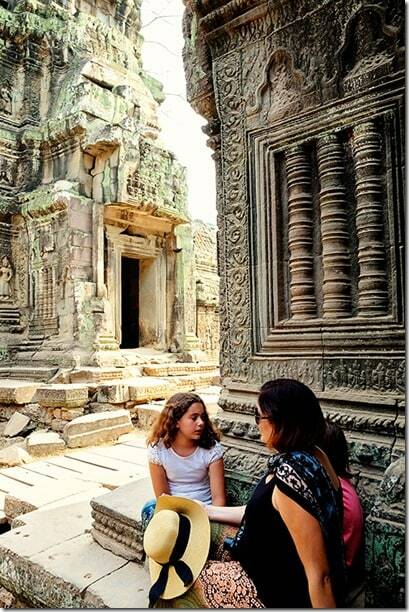 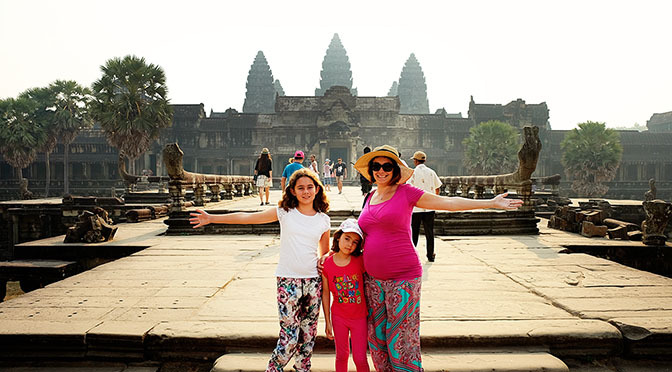 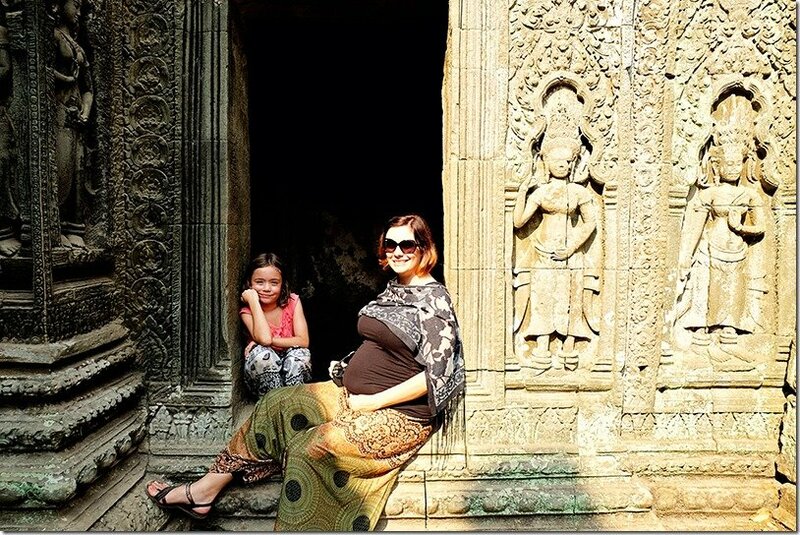 The Angkor Wat Complex; a UNESCO World Heritage Site; happens to be one of the most popular places to visit in Cambodia; and we were grateful to have had the opportunity to explore the Angkor Archaeological Park with our kids. 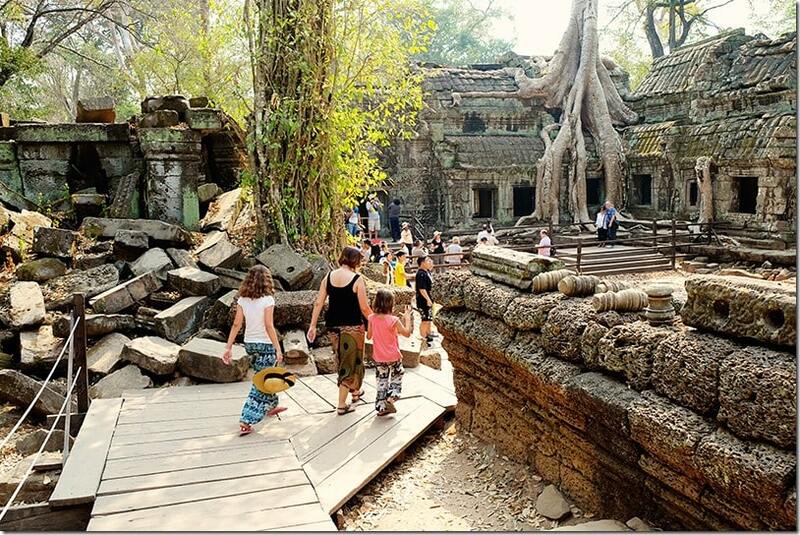 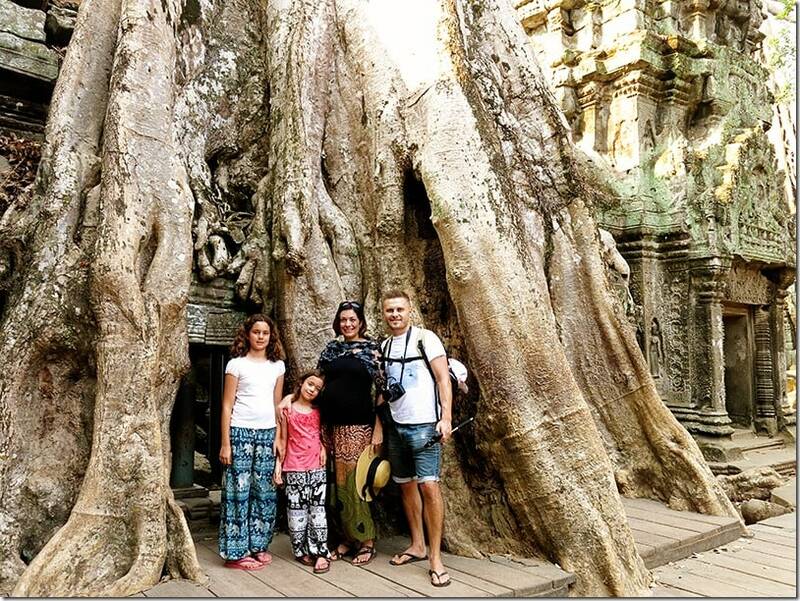 The kids loved exploring the Ta Prohm ruins; we all loved trying to find the iconic parts of the Temple of Ta Prohm that we had seen in the movies. 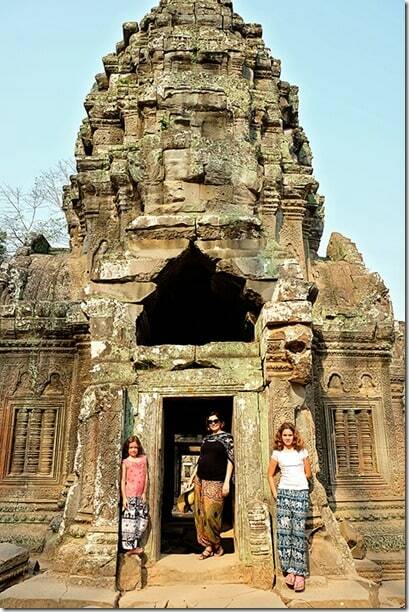 The temple was every bit as spectacular as I expected it to be! 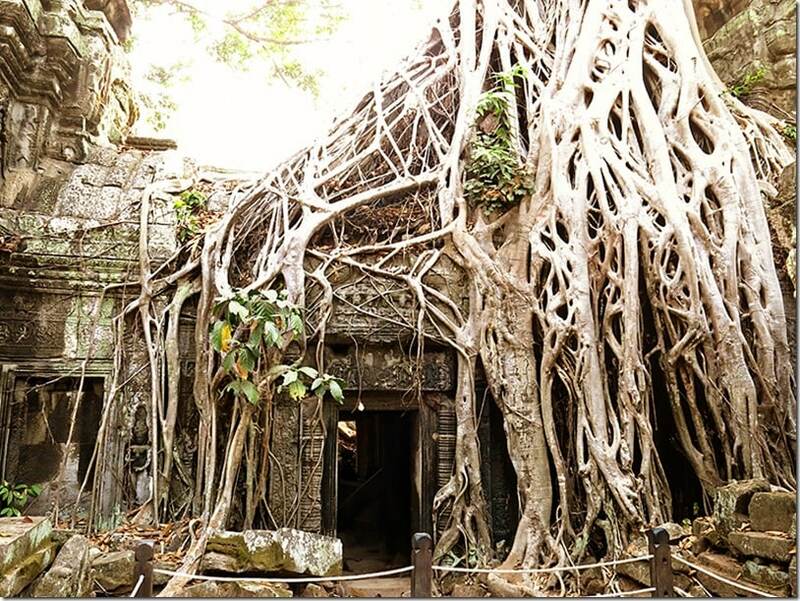 Join us for a visual journey with Ta Prohm photos and a short video as we explore the iconic temple of ruins and trees. 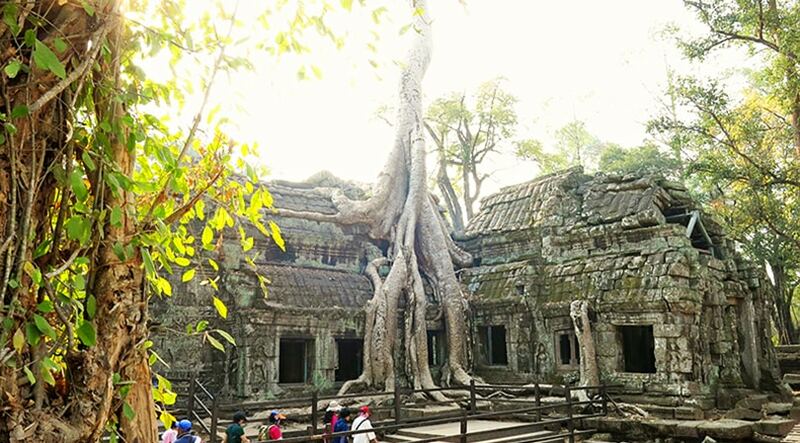 The amazing Ta Prohm temple was built in between the mid 12th century to early 13th century by the king Jayavarman VII. 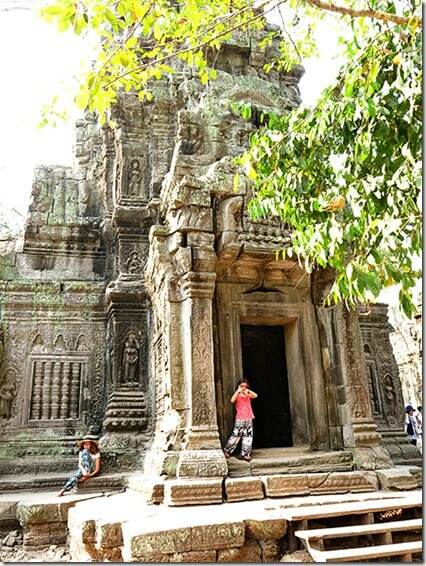 This Buddhist temple was built as a replica of Bayon style architecture and was dedicated to the mother of the king. 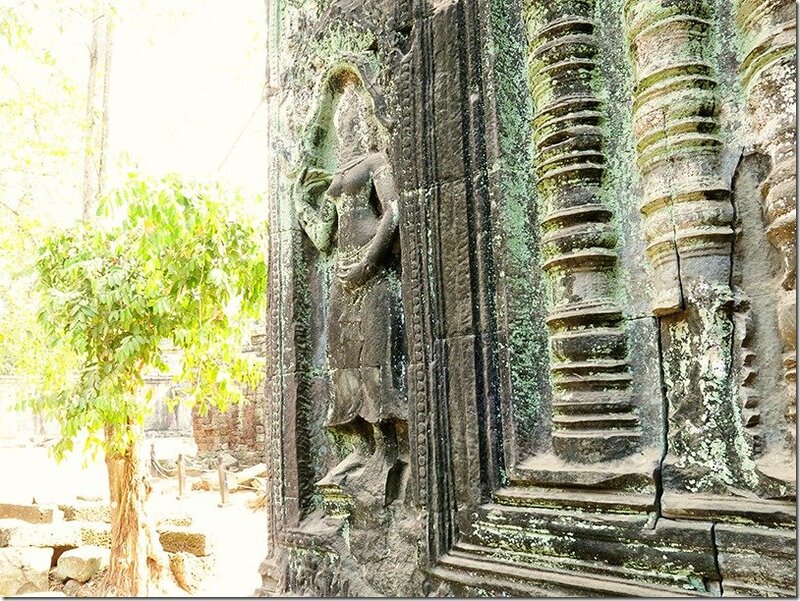 This incredible temple is a one of the most visited sites in the complex and it is one of the largest monuments in the whole area. 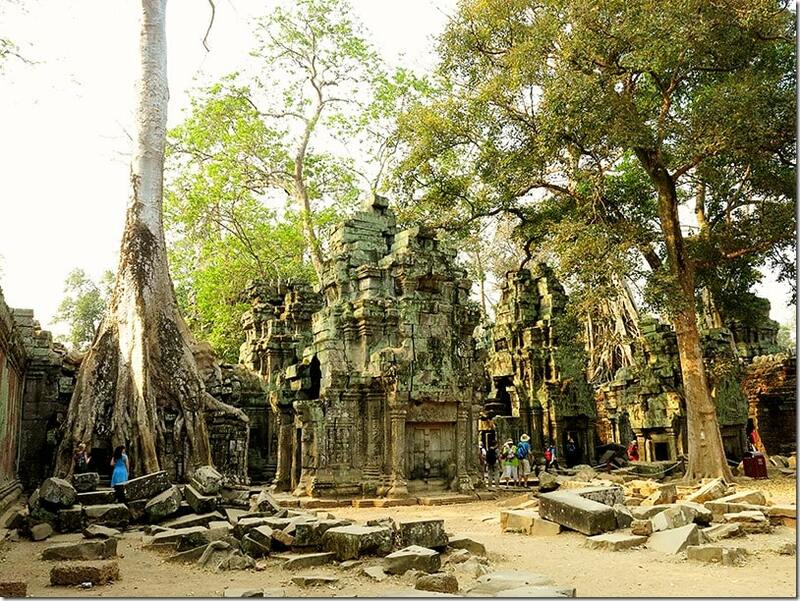 Ta Prohm has been kept in its natural state and has not been altered in any way since the 19th century explorers uncovered the the monuments. 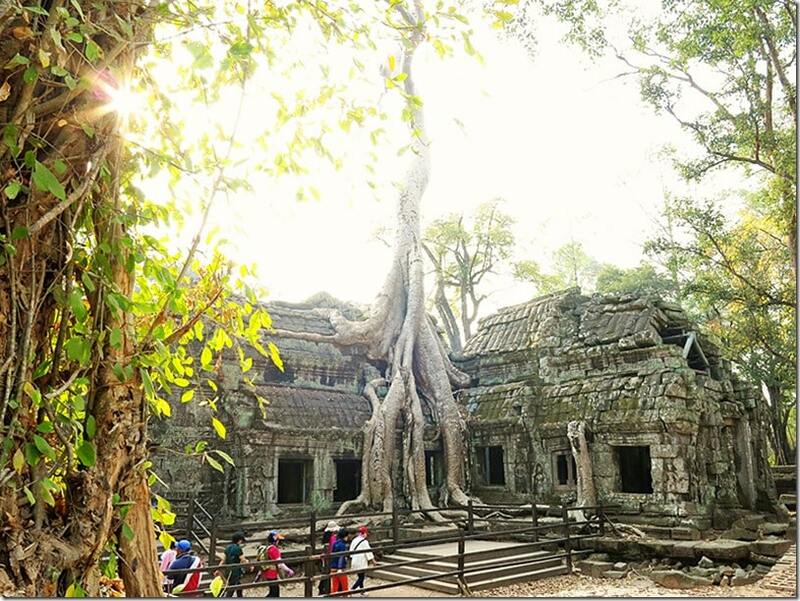 When you visit Ta Prohm, you will find spectacular ruins of an enchanting temple, swallowed by the majestic trees of the jungle. 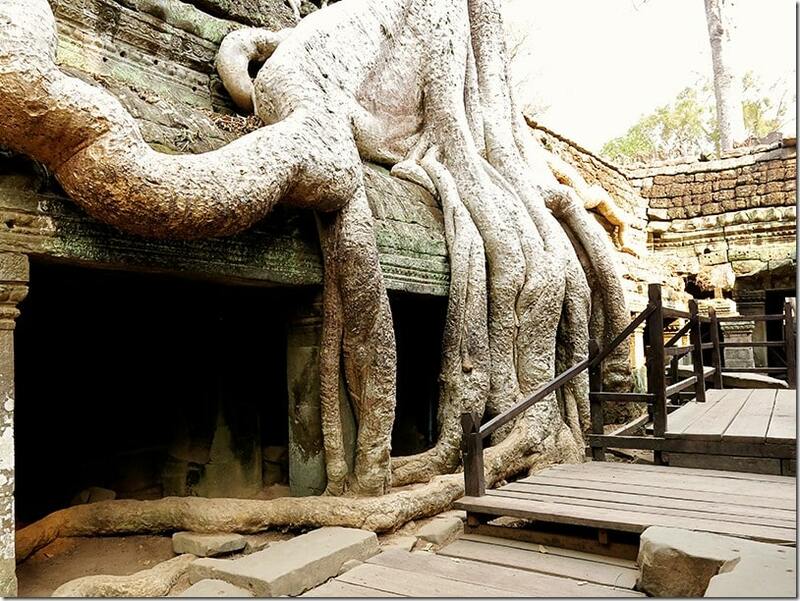 Beautiful corridors, stone walls are forever intertwined by the spectacular maze of gigantic tree roots. 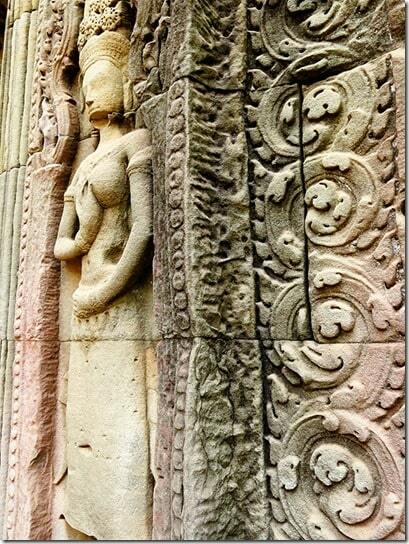 The marriage of the stone and nature is simply magical and leaves you with a sense of wonder. 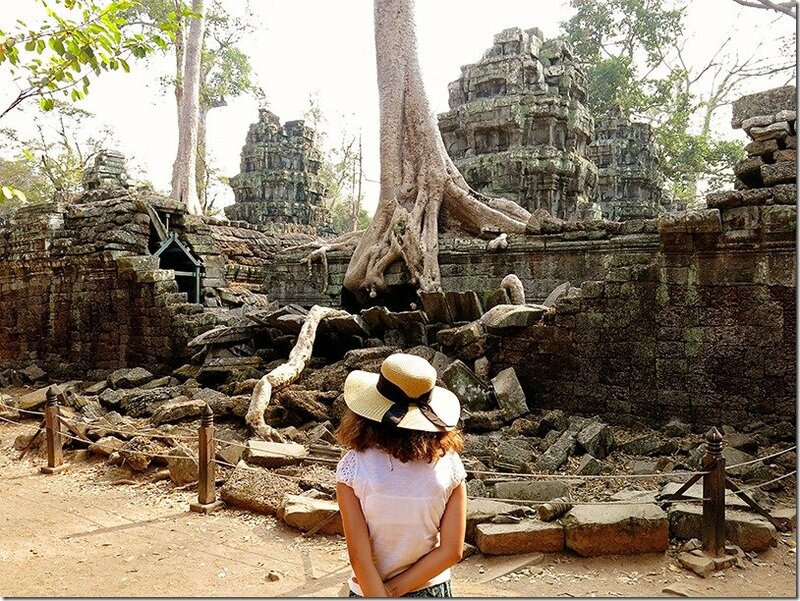 Here you will witness the marvel of architectural genius of the 12th century builders and the power of nature, that gently over time takes back what is truly hers! 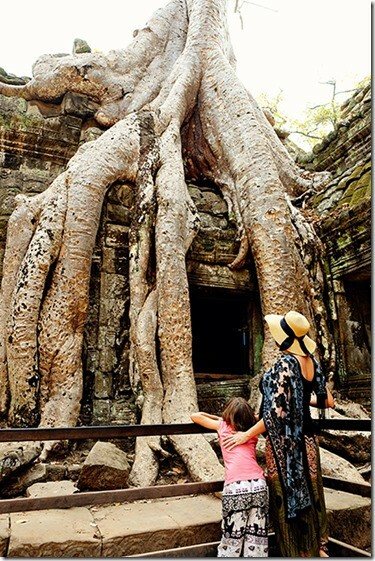 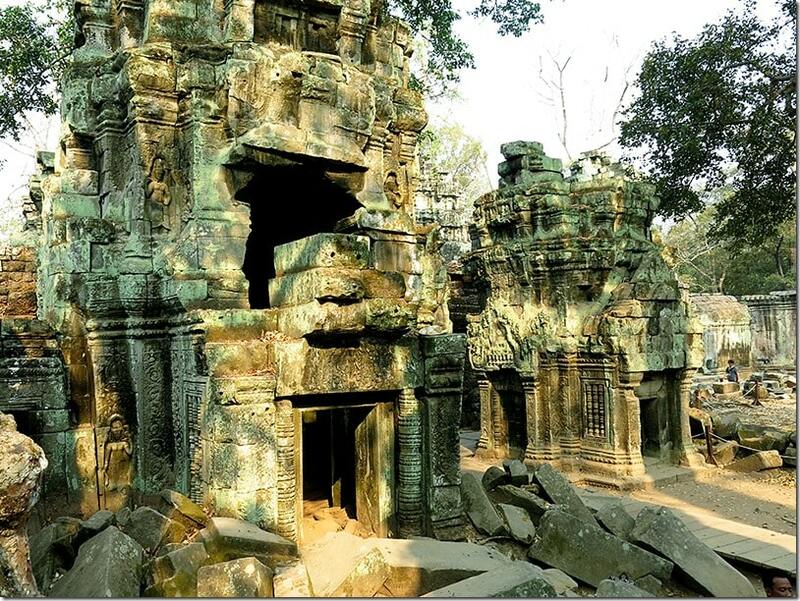 To read more about Ta Prohm temple in Cambodia and its history click to Tourism Cambodia’s site here. 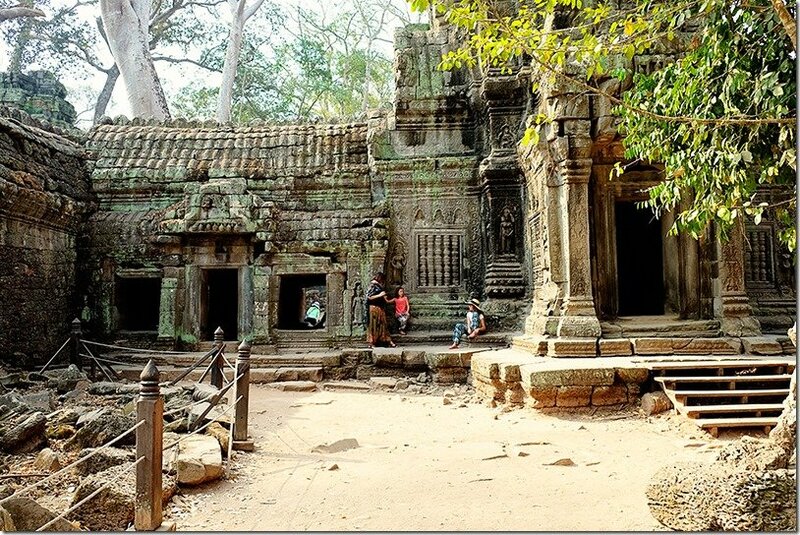 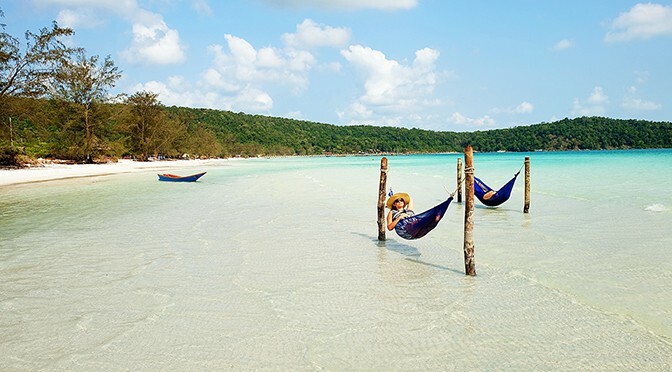 Make sure to take a bit longer here and truly loose yourself in the beauty of Ta Prohm and discover its hidden secrets. 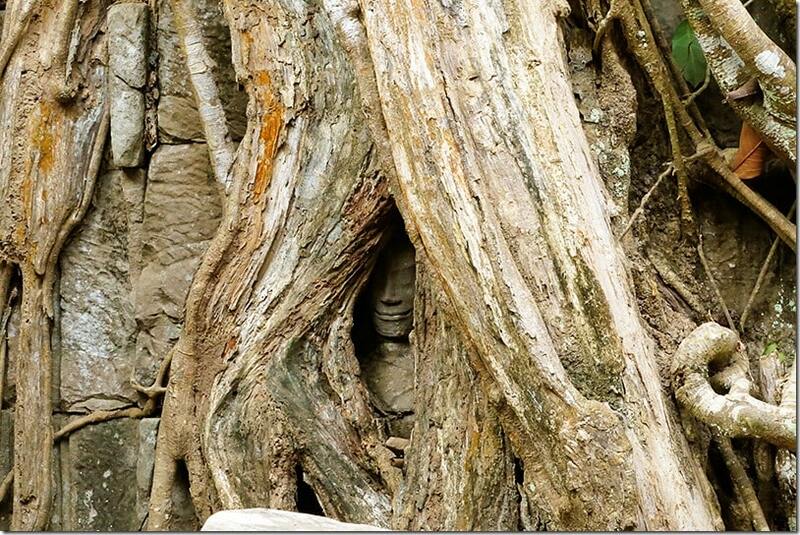 There are quite a few here, so keep your eyes open and your camera ready!